What is a Chain Oiler? Does it fit my bike? The Crampbuster is the original motorcycle cruise control with thousands of customers worldwide enjoying the ease of use of this simple tool. More control over cruise control, especially in town, winding roads, or cruising with your buddies. It’s guaranteed – if it breaks we’ll replace it. Crampbuster is the original patented design, not a copy or an imitation. When you buy a Crampbuster you are supporting the person who invented it! A. There are no moving parts or tools required. It works on the principle of an oil filter wrench. Simply”stretch” it open and snap it on the outside of your grip. It will rotate clockwise (upward for adjustment) but when turned “counter clockwise” (downward) by the weight of your palm it “pinches” and the throttle is pulled open. To Go Faster, simply lift it a little (causing it to rotate up clockwise) then rest your palm back on it. To Go Slower, simply spin it up clockwise completely around until it comes up into a position “a little lower” than before. A. There are two diameters; the “Standard” is 28.5mm (1 1/8″) diameter and fits most stock grips. 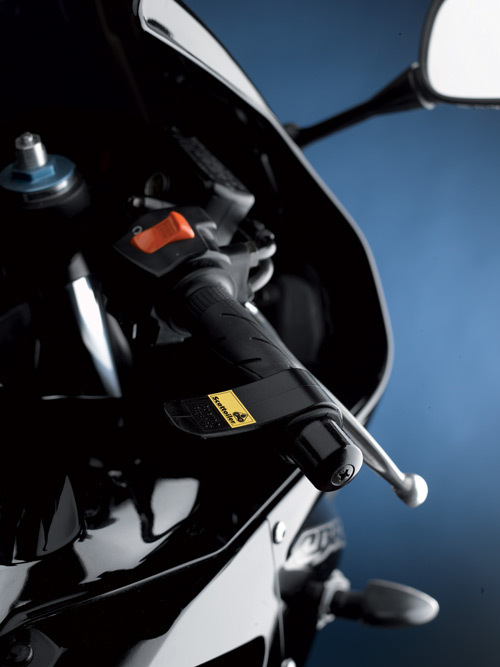 The “Oversize” which is 35mm (1 3/8″) diameter is designed mainly for larger grips and is ideal for fitting to oxford heated grips and most cruisers. Your grip needs to be larger than 35mm (1 3/8″) diameter or the oversize will slip. 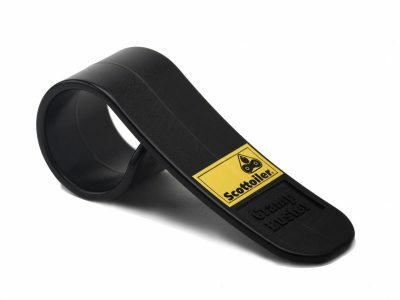 If your grip is 1 3/8″ or smaller you need the Standard CrampBuster. We currently offer the 3 types of Crampbuster listed above – if you require something different to those listed then please contact us with your enquiry. The Crampbuster received the highest level product review ranking from Motor Cyclist Magazine with 5 stars. 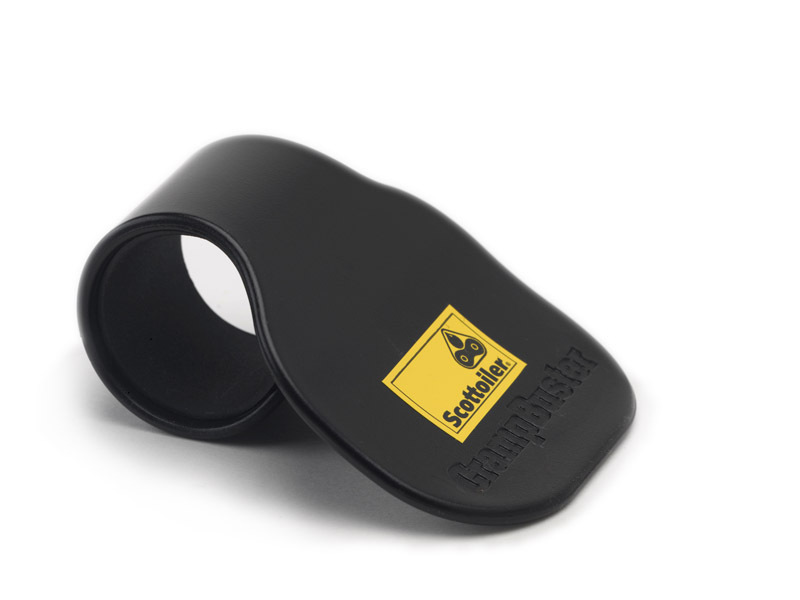 Wrapped around the twist grip, it allows you to maintain throttle with the palm of your hand as opposed to utilizing your grip, permitting the relaxation of the otherwise tensed forearm and wrist muscles. Personalised Advertising: We want to make sure that you see adverts that are relevant to you instead of generic adverts that other companies will show you. Enabling this cookie means that potentially in the future you see a Scottoiler advert somewhere else online, maybe for an offer or a new product.